About 3,000 learners now enroll annually in educational programs offered by Canadian International Freight Forwarders Association, says Stephen McDermott, CIFFA’s Director of Education and Marketing. About half of those are through partner educational institutions and about half through CIFFA directly. The latter are now conducted entirely online. CIFFA courses are now on the calendars of about a dozen colleges across Canada, about twice as many as when Mr. McDermott joined the association six years ago. The objective is to sign two new valid educational partners a year, he said. “Our goal within the colleges is to have our programs integrated with a lot of college programs so that when our members are hiring graduates, they know that they are also hiring graduates that have the CIFFA certificate,” Mr. McDermott said. One of CIFFA’s newer educational partners is Langara College in Vancouver, B.C. Graduates of Langara’s Supply Chain and Logistics Post-Degree Diploma receive a certificate from CIFFA if they meet the requirements of two associated courses — Essentials of Freight Forwarding, and International Transportation and Trade — and successfully challenge the CIFFA exams, said the college’s Phuoi-Linh To. “Students complete the exams as part of the ITT and EFF courses, which are taken within the program,” said Ms. To, who is a program manager of accounting, business and computer technology in the Continuing Studies department. The program, which is full-time over two years and encompasses six semesters, had its first intake in May 2016; and it first offered the CIFFA courses in May 2017. “We’ve had three cohorts completing their CIFFA certification courses, with over 40 students having the opportunity to achieve their certification,” Ms. To said. The program accepts 25 to 30 students per cohort, she said. Students from the May 2016 intake graduated this April. Four other cohorts, totalling about 100 students, are in various stages of the program, she said. Cost for the entire diploma program, which includes a work practicum, is $13,000 for domestic students. That also covers exam fees but not textbooks. The program has two intakes per year, with admission for this September already fully booked. Admissions for January 2019 are now open. “The number of open spots depends on our admission review process that is underway,” Ms. To said. Admission requirements include a three- or four-years bachelor’s degree or equivalent, as well as demonstrated proficiency in English. Jie (Jackie) Li, a member of Langara’s continuing studies faculty and a program head at B.C. Institute of Technology, is the lead instructor for the CIFFA courses. A certified CIFFA instructor, Mr. Li has more than a decade of experience in international business and logistics in transportation. He currently serves on the Pacific chapter Board of Chartered Institute of Logistics and Transport International, and with the Vancouver area council of the Canadian Institute of Traffic and Transportation. “The program has been very well received by the industry,” Ms. To said, noting that the college has 15 industry partners, including CIFFA members, which provide the eight- to 10-week practicum placements for the students. The college is looking for new work-placement partners in Metro Vancouver for the next practicum sessions in September. Ms. To invites interested organizations to contact the college. “Supply chain jobs are always plentiful, it seems, especially in entry-level positions,” Mr. Dermott said. He noted that CIFFA has 260 member companies in the industry. Including non-CIFFA members, the freight forwarding industry employs 30,000 to 40,000, he estimates. CIFFA also has a new jobs link called CareerConnect on its website. The programs vary from college to college. Some offer the certification as part of a diploma program in supply chain and logistics. For example, Langara’s program is run by Supply Chain Management B.C. “But they also graduate with a certificate from CIFFA because we have our own standards of what constitutes a pass compared to what the colleges might,” Mr. McDermott said. CIFFA is moving away from printed textbooks. The association now uses an app called Texidium, which delivers electronic textbooks to colleges in Canada and the U.S. Texidium, from Ottawa-based Kivuto Solutions Inc., can be installed on smartphones, tablets, laptops, and desktop computers. “It’s a much easier way for us to distribute the books and keep the books updated,” Mr. McDermott said. “It even offers a lot of opportunities for instructors to create groups within the app or give out additional details or answer questions. And, for the student, it’s an entirely searchable textbook. It also has text speech.” CIFFA found out about Texidium from Sarnia, Ont.-based Lambton College, one of the association’s newest educational partners. “They’ve just recently started their enrolment of students,” Mr. McDermott said. For its own programs, CIFFA offers two types of online courses — e-learning on demand, and virtual classrooms. The former allows students to work at their own pace. “We give each course about three months to finish but there are students that finish it in three weeks,” Mr. McDermott said. To earn what is informally known as the CIFFA certificate, a student must complete two introductory freight forwarding courses and the related exams. The fee for each of those courses — Essentials of Freight Forwarding, and International Transportation and Trade — is $525 plus tax for employees of CIFFA members, and $690 plus tax for non-member employees. CIFFA’s ultimate educational goal is its Professional Freight Forwarder designation, or PFF. To achieve the PFF requires first earning the CIFFA certificate. A second prerequisite is earning the advanced level certificate. 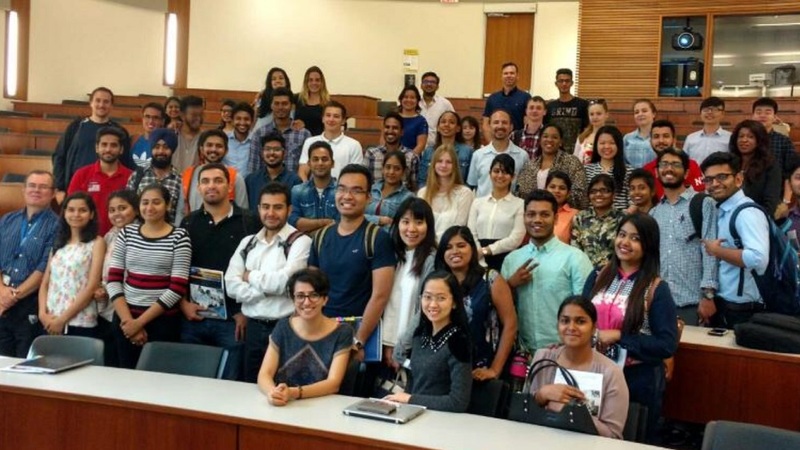 The third is completing the three courses of a CIFFA program designed by the Schulich Executive Education Centre of Toronto’s York University. “Then you need five years experience working with a freight forwarder, and that gives you the professional freight forwarder designation,” Mr. McDermott explained. Courses in the Schulich program were originally delivered in the classroom. But it proved difficult for people to take time off work to attend the class, Mr. McDermott said. Moving it online has enabled students to take part in the course in the evenings. They can also do it from anywhere in the country. “We found our enrollment has actually gone up as a result,” Mr. McDermott said. Teaching two of the three Schulich courses is Sanjay Dhebar, an instructor at the Schulich School of Business who developed the course materials, which CIFFA purchased. His courses are entitled Sales Strategies for the Non-Sales Manager and Building a Strong Customer Service Culture for Your Organization. I didn’t even know about CIFFA until they approached us,” said Mr. Dhebar, who has an MBA from the University of Leicester and industry experience that includes four years as national sales director with LifeLabs Medical Laboratory Services. “Online you’re limited on the level of dialogue you can have with people from a live audience,” Mr. Dhebar said. “One thing I will say is CIFFA made a good investment in technology. They use Adobe Connect.” Each weekend, he releases a 45-minute lecture that the students can listen to on their own schedules. Then each Wednesday evening, he conducts a live one-hour online lecture with the class, which typically numbers around 15 students. Ruth Snowden, CIFFA’s Executive Director, said taking the Schulich program is an “exciting” move that will help companies build their “bench strength,” identify “the up and comers” and invest in the non-technical management skills of freight forwarding. “Now it doesn’t matter where you are in the country, you have access to this management education and training,” Ms. Snowden said. For its freight-forwarding courses, CIFFA uses four textbooks that were written over the last few decades by subject matter experts, who have taught CIFFA courses and who volunteered their expertise to certain chapters. “So we could have a customs chapter written by a customs expert,” Mr. McDermott said. “We could have our air freight chapter written by several air freight experts. And over the years it’s become more and more refined.” One of the authors is longtime instructor Fred Grootarz, President of Acro Navigation Inc. He wrote some of the textbooks early on and also for the advanced courses that he teaches today. “But all that needs to be rewritten because the industry doesn’t stand still, you know,” said Mr. Grootarz, who started in the business in 1964 in his native Germany, but has been in Canada since 1970. He now teaches only advanced classes on such subjects as vessel chartering, air freight chartering, and project shipping. One topic that CIFFA has its eye on for integrating into its education is blockchain. Another hot topic is marijuana, which Canada will legalize for recreational purposes this year. CIFFA is considering a workshop in the near future on how legal marijuana producers in Canada might go about exporting their products to other countries. “Finding out exactly how they do that from a legal perspective and everything that goes into that would be fascinating,” Mr. McDermott said.